This piece first appeared on Friends Over Fifty Guide To Life. See the author’s bio and contact info below the post. You Can End Your Addiction to Unhealthy Foods! It’s no secret that losing weight after the age of fifty is more of a challenge than when we were younger. Struggling to lose extra pounds can seem like an uphill battle. Why is it so hard to consistently choose foods that help us lose weight and avoid foods that make us fat? We crave high calorie, high fat foods because our bodies were genetically designed to insure our survival. Our primal brain craves foods that will give us the energy to fight off a wild animal and hunt in the forest for our food. We hardly need these kinds of survival mechanisms today, but our brains are still wired for primitive survival. Food can be as addicting as drugs according to research. Rats addicted to fast foods refused to eat a healthy diet. Why? Because the processed and fast foods they had been fed had changed their brain chemistry. The rats lost the ability to determine when they were hungry and became obese. Even when administered electric shocks, they continued to eat fatty foods. Does this behavior feel familiar? 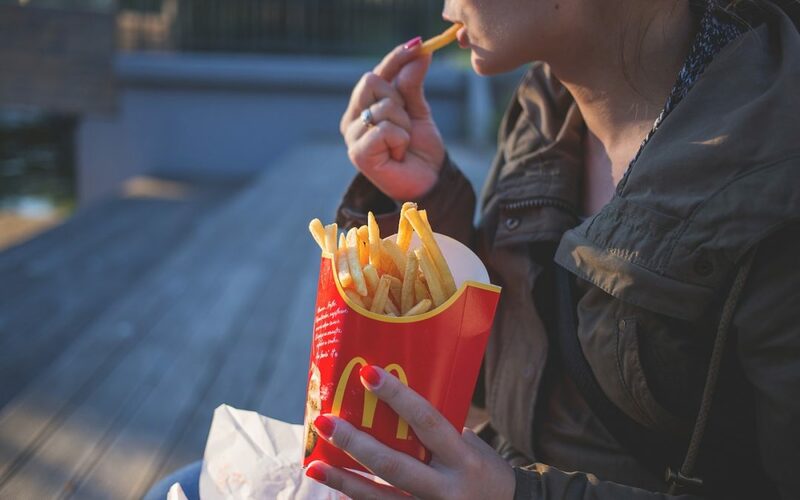 If you’re like most people, eating processed foods leads to craving more of the same. This study explains why just one sugary donut hole is never enough. Food deprivation can create a life-long insecurity surrounding food. Children raised in poverty where food was scarce often hoard food as adults even when food is plentiful. Chronic dieters who choose routinely to deprive themselves of food can experience food insecurity too. If anyone, a caregiver, a spouse, or well-meaning relative has attempted to control your food intake, it can feel like a threat to your comfort and survival. Taking charge of your own food intake can give you a sense of control and well-being which can restore your reptilian brain to a rational state. When we feel safe, we are calm. That sense of security and well-being fends off the “fight or flight” syndrome natural to us for our survival. Eating provides an artificial experience of safety and temporary feelings of well-being. How often have you felt anxious, worried or threatened and turned to food for comfort? A fascinating theory, gaining recognition, is that our nervous system plays a huge part in our ability to calm ourselves. The Porges Polyvagal Theory developed by Dr. Stephen Porges, advances the idea that we are communal creatures who depend on social interaction for our well-being. We were designed to live in community with others. We take comfort and safety in our social interactions with others. Deprived of mutually beneficial relationships and social interaction, we lose our sense of well-being, calm and security. This is when the reptilian brain takes over rational thought. This is when we turn to food to calm ourselves. Mixing up your food choices and having a variety of healthy foods is a good way to keep food cravings at bay according to Marcia Pelchat, PhD, a retired sensory scientist who studied food cravings at Monell Chemical Senses Center. In her study, volunteers fed a monotonous diet were much more likely to experience food cravings than those who ate a varied diet made up of different tastes and textures. 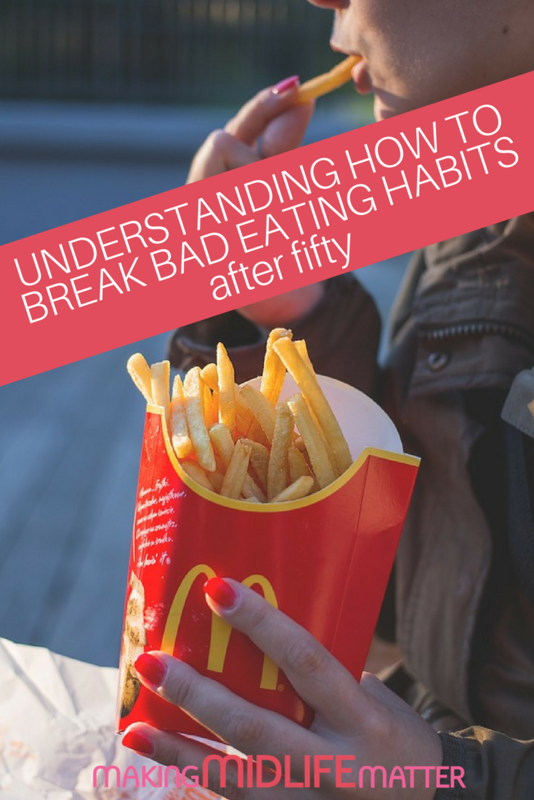 You can break old eating habits. An awareness of what both your body and your psyche need can mean the difference in how you look, feel and behave. To feel safe and calm and control eating habits, we need not only a variety of healthy, tasty foods, but also the comfort of social interaction with people we care about. The sense of safety and security of being in community with others gives us the strength to avoid the “fight or flight” primal response innate in us. With calm confidence, we are empowered to make the small, gradual and consistent changes to our food choices that will help us lose the weight we want to lose. Linda Barnby is the founder and editor of Friends Over Fifty Guide to Life. She is passionate about helping women cultivate and share their gifts. She believes that when a woman is self-aware, creative and purposeful, her positive influence permeates and uplifts the lives of her family, her children and her community.